Break-ups are rarely fun. And while many folks might struggle to comprehend why the Swedish House Mafia, one of the world’s most popular electronic music trios, would call it quits at the height of their success, Leave The World Behind aims to shed some light on the matter. Outsiders get an inside look at the special bond between the trio’s members but also see how that bond can also be rather complicated at times. 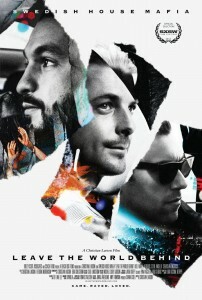 Whether you’re a fan of electronic music or not, this documentary also offers viewers a fascinating look at just how much the trio meant to fans all over the world.